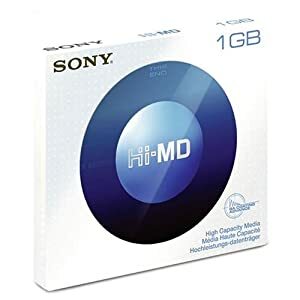 Topic: What is the difference between these blank Hi-MD Mini-Discs besides price?? I'm ordering a Sony MZM200 from Amazon.com this week and can't tell if it comes with a blank disc or not so I'll get a couple of blanks to be sure. However, I see two different blank Hi-MD Mini-Discs available. What is the difference between these besides the price? 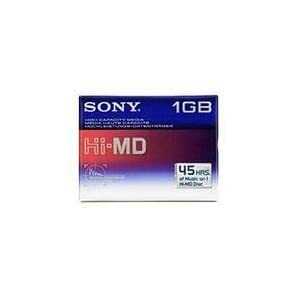 Re: What is the difference between these blank Hi-MD Mini-Discs besides price?? I've used em both in the past, and as far as I could tell...... they are one in the same. Just different wrapper. And, I think the red and blue wrapper has the HiMD disc in a case that is similar to a DAT case or something. Hard plastic that you can open and close like a CD case. And the white wrapper has the HiMD disc in a hard plastic "sleeve" that you slide the disc in. Besides the case, they should perform the same. Thanks for the info. It save me some $.